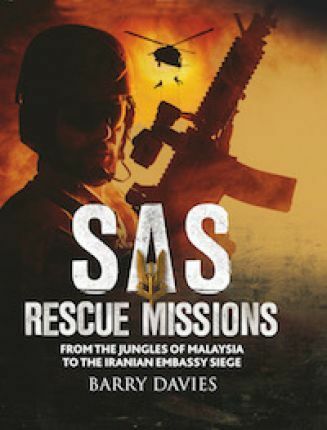 Written by a former SAS man, SAS Rescue Missions details all the occasions when SAS soldiers have saved a friendly power, from Malaya in the 1950s to Oman in the 1970s to Gambia in the 1980s, and many more. The informative text describes how a handful of SAS men achieved what often seemed impossible - reversing a military coup, defeating powerful rebels, winning over an aggrieved population. With the help of first-hand accounts from SAS soldiers, the book also examines the Regiment's role in hostage rescue, especially from the clutches of militias, such as in the former Yugoslavia, and terrorists, such as at the Iranian Embassy siege in London in 1980. In addition, the book explores the SAS's bodyguarding skills used to protect politicians and heads of state. Special soldiers require special skills and the book reveals the training and drills that SAS soldiers go through, from exercises in the `Killing House' to the sophisticated communications equipment carried on missions. Packed with 120 colour and black-&-white photographs, first-hand accounts and lively text, SAS Rescue Missions is a unique book on a little known aspect of the Special Air Service. Barry Davies spent 18 years in the British Special Air Service. He participated in the storming of the hijacked Lufthansa plane at Mogadishu in 1977 and was awarded the British Empire Medal. He is the author of The Complete SAS Survival Manual, The SAS Self-Defence Handbook and the Soldier of Fortune Guide to How to Disappear and Never Be Found.